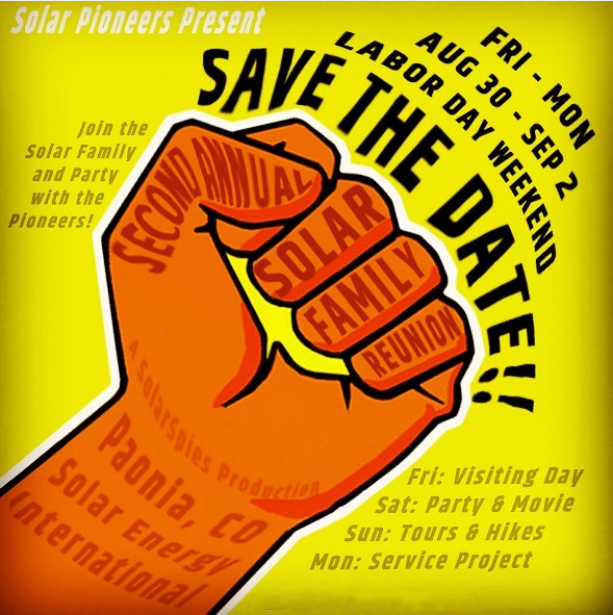 SAVE THE DATE - LABOR DAY WEEKEND - The SECOND ANNUAL “SOLAR FAMILY REUNION”! When: Friday Aug 30 to Monday, Sep 3 Where: Paonia, Colorado at SEI's Headquarters Who: EVERYONE! Registration opens soon, but make sure to save the date now on your calendar! PARTY with the Solar Family and the Solar Pioneers - EVERYONE invited!